Calling all apartment marketers! We've seen the good, the bad, and the ugly when it comes to blog posts and want to share everything we've learned with you! 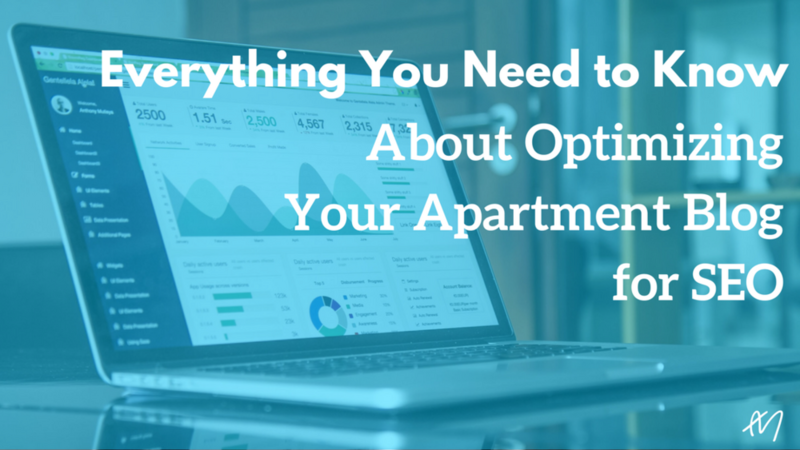 Having a blog on your apartment website is a great way to increase organic traffic and build awareness, but only when your blog is properly optimized. 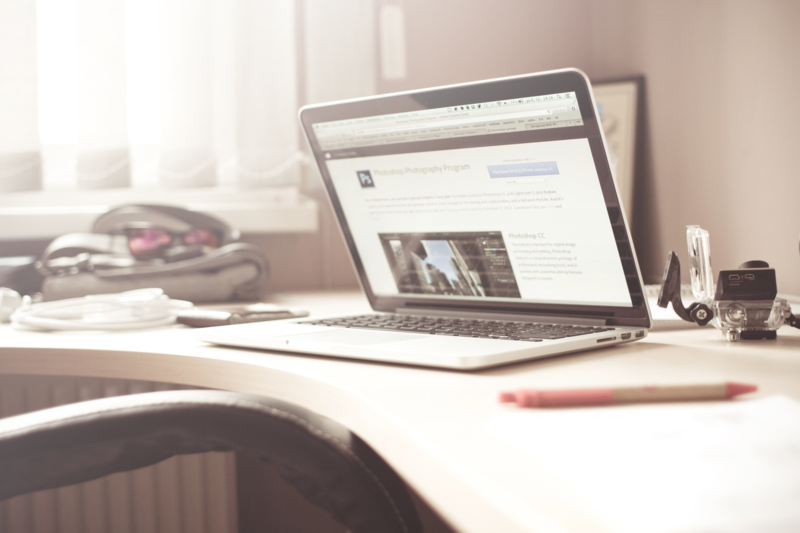 Why bother optimizing your blog? For starters, 93% of apartment hunters start their experience with a search engine, which means if your blog content is properly optimized for search engines, you could be their first (and last) introduction to apartments in the area. In fact, if you’re not currently generating your own original blog content, chances are you’re falling behind and leaving the door wide open for those nearby competitors. According to Content Marketing Institute, 86% of B2C marketers are already leveraging content marketing within their digital strategy, with 73% expecting to produce more original content in 2017 than they did in 2016. And if that’s not enough to make you want to level up your apartment blog, then maybe knowing that content marketing typically costs 62% less than other marketing efforts might. There’s no denying it; content marketing works. But, creating amazing blog content that attracts and nurtures your prospects into renters is only half the equation. The other half is ensuring your article is properly optimized and visually appealing. 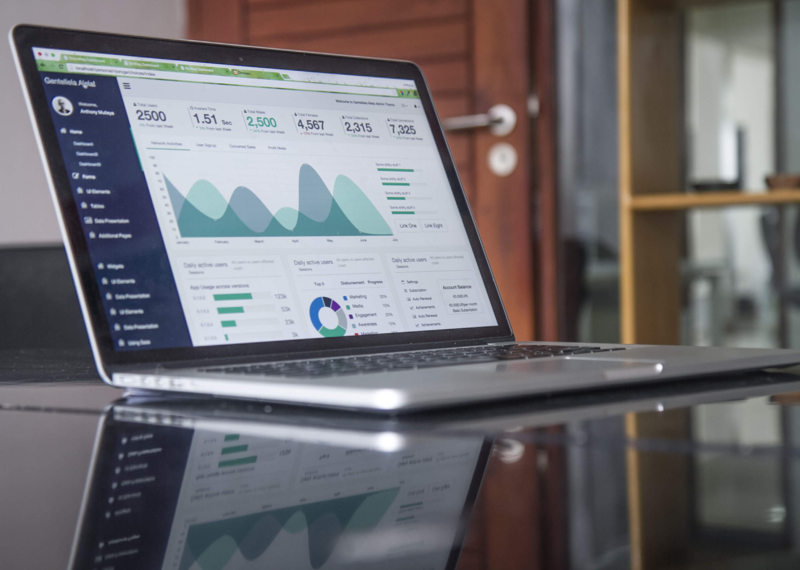 We know working with new website platforms can be challenging, so we wanted to layout the most efficient way to ensure all of your blog posts on any platform or CRM is optimized to the fullest. In this post, we’ll start with breaking down the basics - defining some of the most important blog optimization terms, go into detail for why they're important, and include a few 'pro tips' and examples to help you optimize your own apartment blog to have everything in its place and working before you hit publish! Ready to dive in? Let's go! What is it: A Page Title is the title of the article that displays in search results and social shares. Typically this version of your title is geared towards your keyword. Why is this important: Adding a title tag is important, not only search engine crawlers, but also for social sharing. When someone shares your article on Facebook or Twitter, the title tag you crafted, not the actual article title displayed on your blog, is shown as the link's title. 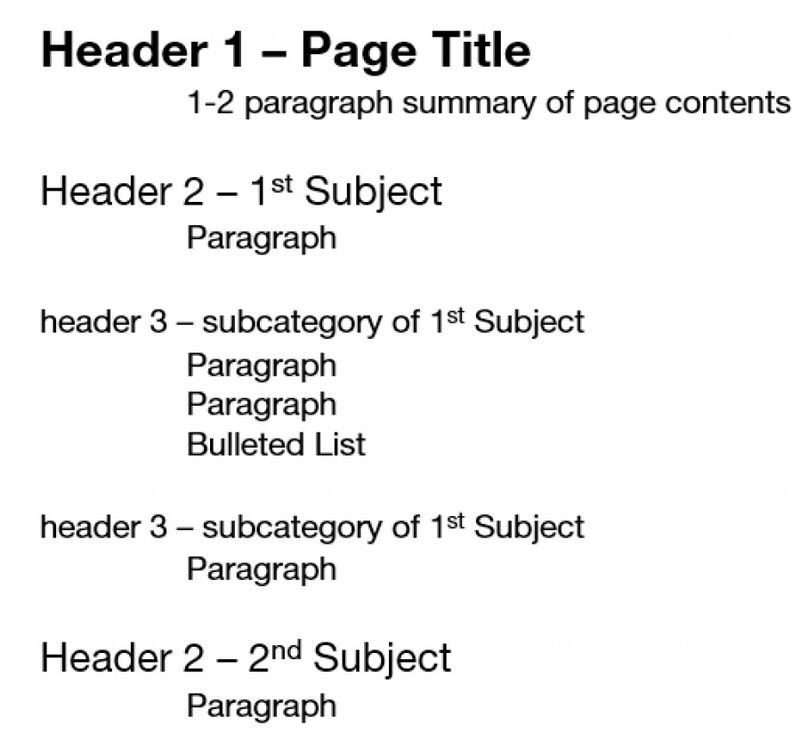 However, if you have no page title written nothing will show, and a little something to remember: this goes for every page on your website. Most consumers won't edit this either, so it is up to you to include it when optimizing your post. For search engine results, Google will pull the blog title you posted. Luckily, something will display, however, typically the clever titles we craft for our blog posts are longer than what Google has room to display so that it will be cut off. Pro Tip: To ensure your title shows up the way you want it to in search, try to keep the length between 50-60 characters so the entire title can be viewed on all devices and screen sizes. What is it: A meta description is a brief summary of the article, mostly used for social sharing descriptions and search descriptions. 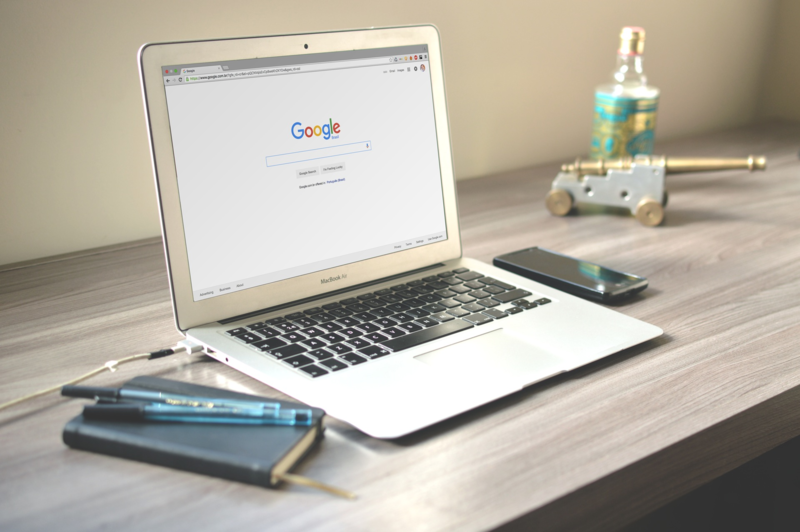 Why is this important: Meta description are not only useful for indexing and ranking an article, but they also serve as a one to two sentence summary users will see in search results as well as social shares. While it's important to include your keyword at least once within your meta description, it is equally important to write a meta description that gives the reader a good idea of what the article is about and inspires them to click through (easier said than done!). Pro Tip: To write a meta description that is well optimized, and not cut off, you should aim to keep yours between 150 and 160 characters and only include your keyword once. What is it: A keyword(s) is the specific term you are trying to get your article to rank for. Why is this important: Having a specific keyword your article is based around is important to improve your SEO. It's important to use tools like Google's Keyword Planner to determine how much search volume there is around certain terms. Ideally, you'd like to find terms that are in the 100 - 1,000 volume range (or higher) when creating content, you don't want to write topics no one is searching for. Another thing to keep in mind when including your keyword throughout your article is that sometimes less is more. Google does not reward you for "keyword stuffing" (when you saturate your article with your keyword). Pro Tip: Most experts say to your keyword should account for no more than five percent of the total words in your blog post. Why is this important: A category needs to be selected to help build your site's hierarchy and maintain organization as you add new pages/posts to your website. It's important to build out categories that reflect what you are writing; Don't be afraid to go broad with your categories, you can always create sub-categories as you feel a need to get more niche within a certain topic. What is it: This is how your article is displayed. Why is this important: While we’d like to believe no matter what our article looks like people will read it, that is certainly not the case. It’s important to capture a user's attention immediately and keep them on your page with a correctly formatted article. 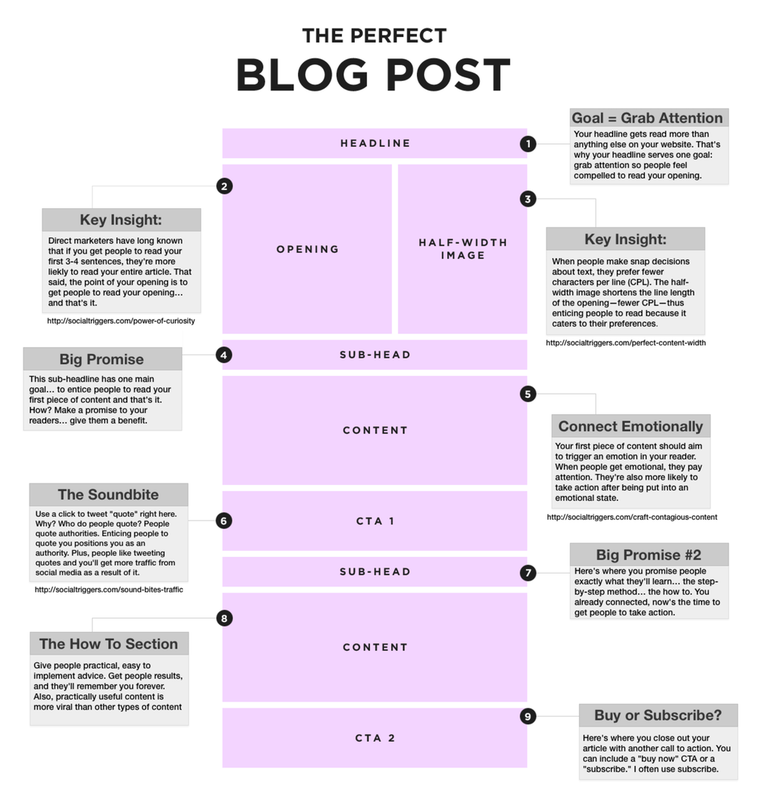 Of course, while we wish there was a magic formula for creating the perfect blog post - there isn't. The ideal format (like the one pictured below) is always changing, however, as long as you are consistent and provide clean, easy to read format your audience can follow, your readers will keep coming back for more. What is it: An H2 header is the title of a subsection in your article. To ensure it stands out within the formatting of your article, and creates a hierarchy of your content, you’ll use the “<h2>” tags, or click the “Header 2” option within your platform. Why is this important: Adding subheaders to your article is not only important to help readers easily navigate your article, subheaders are also important to highlight keywords and give Google a better sense of the type of information in your article. Think of your headers as a way to pass more information on to search engines - almost as sort of an index for your article. Why is this important: Outbound links are another way to help Google understand what your website and/or blog post is about, and to better determine which websites to associate your website with (which plays a role in search results). Are you linking out to websites with a lot of authority? Or are you linking out to sites that keyword stuff - if so, probably not a great fit! Also, be sure to have every link open in a new page - you don’t want to give readers a reason to click away from your site. What is it: The feature image is the main image your article is associated with. 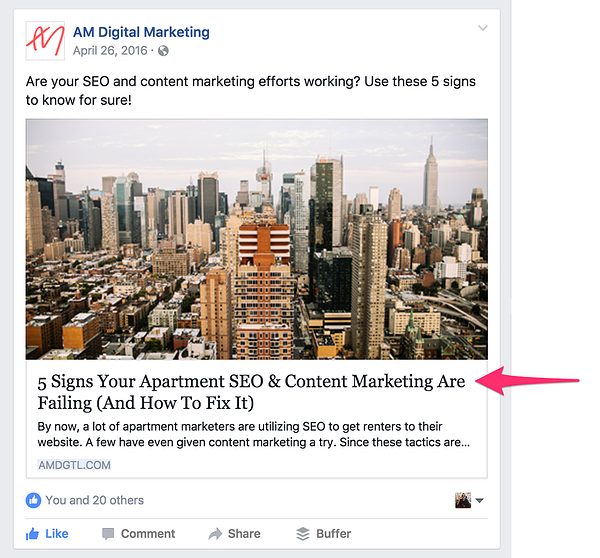 This is especially important for social shares, and when your blog post is displayed in preview form. Alt text are the text descriptions of an image, helping search engines know how and where to rank images. Why is this important: Feature images are a great chance to capture a viewer's attention with imagery. Too often in search results, we see writers who do not include feature images with their articles, so when an article does have a picture, it stands out, just like the scenic skyline shown in the Facebook post below. Alt text (aka "Alternative text" or "alt tag") is important because they explain what an image is to search crawlers. While visual search is on the rise, computers are still doing the heavy lifting so it's important we speak their language when writing Alt text by including the article's keyword. What is it: Your blog post URL structure is the "slug" at the end of your website's' URL. 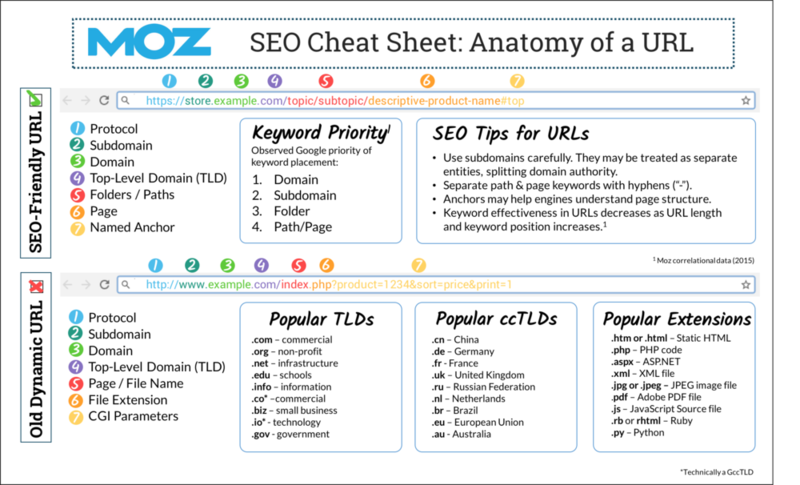 Pro Tip: Keep your keyword closer to the beginning of your URL to give it more ranking authority. 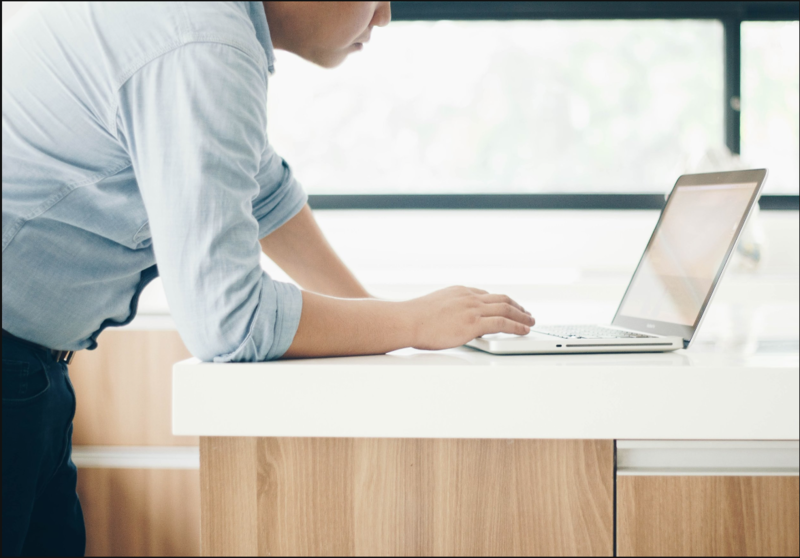 To make your next blog post sing, be sure to keep these optimization tips in mind. If you're just getting familiar, it may seem overwhelming and may be a hassle at first, but we promise it gets easier! Just like any new difficult or time-consuming task, repetition can help to make it a more natural process. Keep up the writing and optimizing, and soon we’ll see you on the first page of Google - hard work always pays off when it comes to SEO!